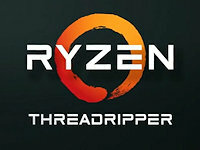 AMD today announced the release of the 2nd Gen AMD Ryzen Threadripper processors, featuring the new 2990WX processor with 32 cores and 64 threads, along with the 16-core, 32-thread AMD Ryzen Threadripper 2950X processor. We have collected a number of reviews on AMD’s new 2nd Gen Ryzen Threadripper CPUs, and you can read them via the links provided below. AMD today announced the global availability of its 2nd Generation Ryzen Desktop processors, starting with four models optimized for gamers, creators, and hardware enthusiasts: Ryzen 7 2700X, Ryzen 7 2700, Ryzen 5 2600X, and Ryzen 5 2600 processors. Building on the original award-winning 2017 “Zen” architecture, the 2nd Gen Ryzen processors combine the improved “Zen+” core with other major performance, feature, and platform advancements. We have collected a number of reviews on AMD’s new 2nd Gen Ryzen Desktop CPU’s, and you can read them via the links provided below. 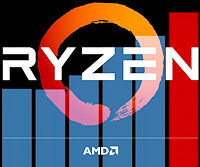 AMD has released the new Quad-Core Ryzen 5 2400G and Ryzen 3 2200G AM4 socket desktop processors, these new Ryzen CPU’s come armed with the world’s most powerful graphics on a desktop processor, featuring AMD’s Radeon Vega architecture. We have collected a number of reviews on AMD’s new Ryzen 5 2400G and Ryzen 3 2200G CPU’s, and you can read them via the links provided below. Intel has released their Coffee Lake generation processors. The new desktop processor family includes the new 8th Gen Intel Core i7 processor, which is the best desktop gaming processor ever from Intel, along with the first-ever 6-core Intel Core i5 desktop processor and 4-core Intel Core i3 desktop processor. A number of reviews are now available on the Intel Coffee Lake i7-8700K & i5-8400 CPUs. Click on the links below to read all about how these new Intel processors perform. 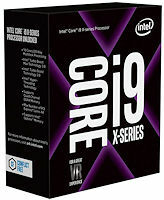 Intel has released the Core i9-7980XE 18-core flagship processor, and the i9-7960X 16-core processor. At a price of $1999 and $1699, these new processors are for the multi-tasker and gamer with very deep pockets. We have gathered a number of published reviews, and you can visit those sites via the links provided below. AMD has released two models of its highly anticipated, Ryzen Threadripper high-end desktop processors, AMD Ryzen Threadripper 1950X and AMD Ryzen Threadripper 1920X. Built around the new AMD x86 “Zen” core architecture, Ryzen Threadripper delivers overwhelming power, unrestrained potential, and indisputable supremacy over comparable products in the market. We have collected a number of reviews on AMD’s new Ryzen Threadripper CPU’s and you can read them via the links provided below. In this technology preview we’ll have a closer look as to what AMD is releasing with Ryzen Threadripper with the product announced and launching today. There will be three Threadripper processors, all available starting this month with respective X399 motherboards available. AMD today released two models of its mainstream-priced, high-efficiency AMD Ryzen 3 desktop processor, the AMD Ryzen 3 1300X and AMD Ryzen 3 1200 CPUs. Starting today, there are two 4-core, 4-thread Ryzen 3 desktop CPUs available for purchase, both of which support the new AM4 infrastructure found throughout the entire mainstream Ryzen processor lineup. We have collected a number of reviews on AMD’s new Ryzen 3 CPU’s and you can read them via the links provided below. Intel lifted the NDA on their HEDT Skylake-X and Kaby Lake-X processors today. The processors are part of the latest Core-X series family and will be featuring support on the high-end X299 platform. We have gathered a number of published reviews, and you can visit those sites via the links provided below. Starting today there are two 6-core and two 4-core AMD Ryzen 5 models available, all featuring AMD simultaneous multithreading (SMT) technology. All AMD Ryzen processors support the new AM4 infrastructure, with motherboard designs already broadly available from top motherboard manufacturers. We’ve gathered a number of reviews from around the internet and posted the links below for your convenience.